work and fatigue; coupled with enormous amount of dedication, patience and compassion, we have seen more than 16,500 patients, performed over 1,500 major surgeries, donated over 2 tons of medical supplies and equipment and spent thousandths of hours training local healthcare givers. These medical missions would not have been a success without the unflinching support of our donors, sponsors, contributors and volunteers. Thank you for sharing your gifts, time, talents and efforts in giving this much needed assistance. Together we have restored eyesight, corrected deformities, alleviated pains and sufferings … may these rewards sustain our ardent desire to pursue this missionary endeavor. With you, caring by our side, we can create more miracles. Mabuhay! 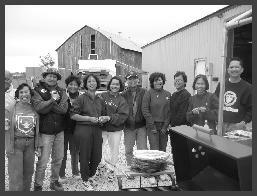 It seems only yesterday that members of the Philippine Medical Society of Greater Kansas City, Philippine Nurses Association of Greater Kansas City and the Rotary Club of South Platte,were scrounging everywhere to make ends meet to fulfill a project of our first medical mission for the indigent patients of the Philippine, in 1993. On July 8-11, 2004, the PNAA will hold its 25th national convention. It will be held at Sheraton Waikiki, Oahu, Hawaii. A big celebration and a packed education program are planned. There will be a parade of the chapter members down the tourists-laden streets.